April 27, 2015 April 26, 2015 paulaacton3 Comments on W is for Wales – Places I Dream of Seeing! W is for Wales – Places I Dream of Seeing! Now don’t get me wrong I have been to Wales, or at least the very northern parts of it, I was little, I remember it was wet and my Granddad bought me a doll wearing Welsh National costume that came in a plastic tube but really that is all I do remember. This trip would see me not only remembering but venturing further into the country. I want to start my little Welsh excursion in Cardiff, I have actually got as far as planning this trip several times but the other things intervened and scuppered my plans. For my perfect Welsh road trip I actually think the perfect transport would be a camper-van, the reason for this is that it is the actual travelling around bit which turned out to be a pain in previous attempts at planning, for such a small country they seem to make travelling from point A to point B hard work. 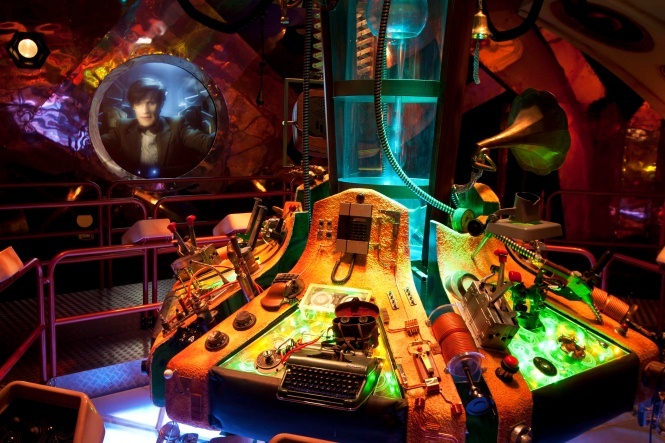 However the Welsh trip will start with a trip to see a Time Lord or two before heading into the past. Of course I could not go to Wales without heading to the Doctor Who experience in Cardiff. Infact the monster and I would need several days to wander round and pick out all the locations we can spot from the new series and those from Torchwood though the monster has not watched that yet, I think I will allow him a couple more years before starting him on that but he does know Captain Jack and a couple of the characters from their appearances in Doctor Who. 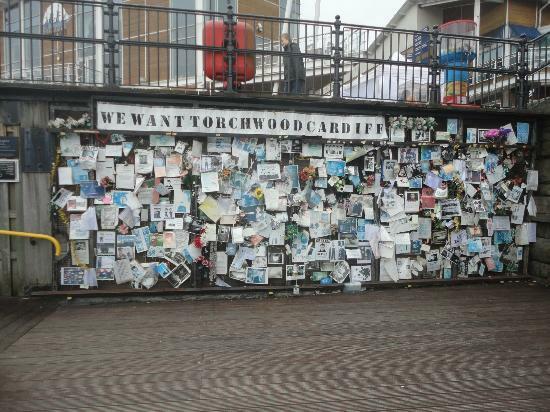 So of course the significance of Ianto’s shrine will go over his head but it is pretty amazing to think that a fictional character has inspired such a moving tribute and shows just how much the show has come to mean to the city. But Cardiff is a city where you can move from the Time lord technology of the future to the ancient past and this is one of the main attractions to Wales for me. 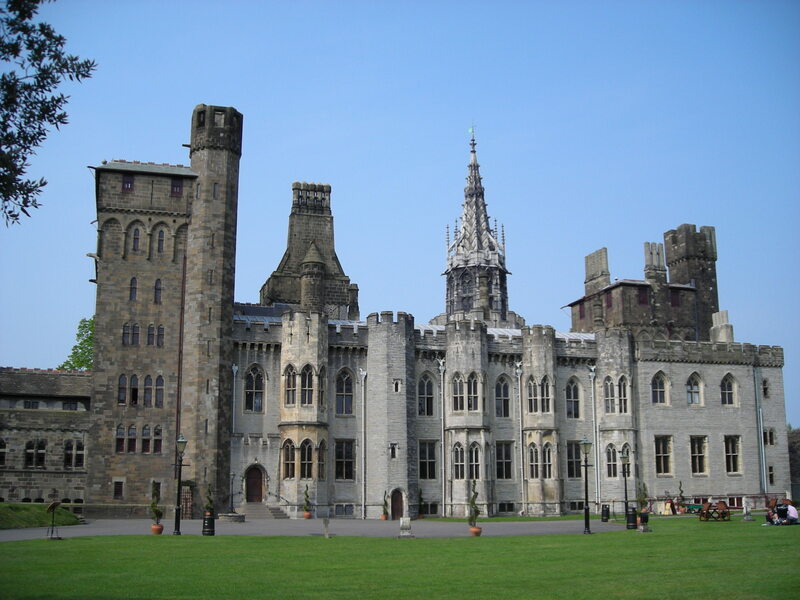 It almost seems like you could not throw a stone and not hit a castle in Wales but I would start here at Cardiff Castle and also take the chance to meet up with one of my FB friends Dave who lives near Caerphilly a place I knew as a cheese long before I knew it was a real place. He has spent years as part of a re-enactment group and is a walking history encyclopaedia, he also has a couple of gorgeous hounds. From Cardiff I would head round the coast visiting all the different castles hopefully ending up near here. 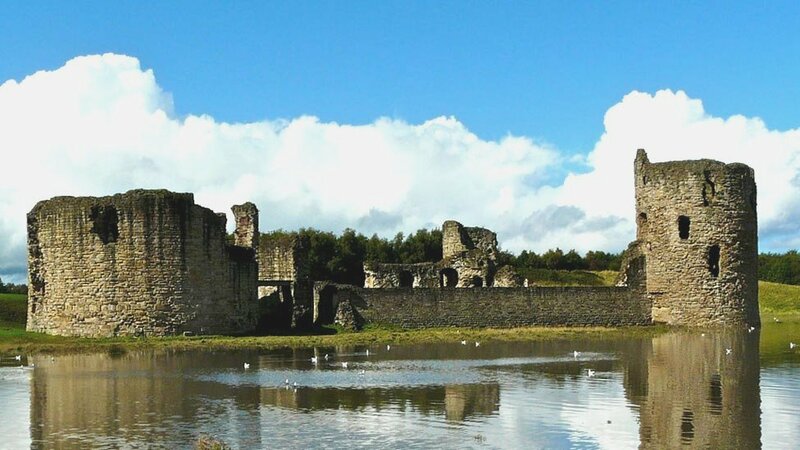 Flint castle is possibly a little less impressive than some of the others on the route but once again the area holds a bonus attraction, our very own Lord David Prosser from over at Barsetshire Diaries. 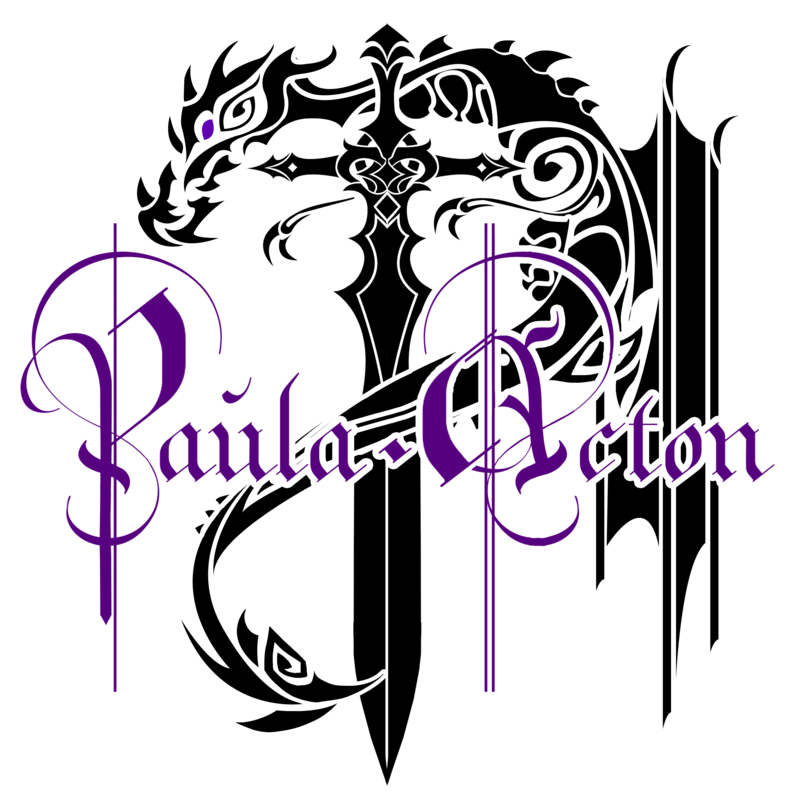 He might blush a little but he is such a wonderful human being, you will have noticed his lovely comments on my posts and if you have not visited his blog you have no idea what you are missing. He has a wonderful, warm and witty way of regaling us with his week and his Sunday post is one of the ones I most look forward to. I believe he is actually on his jollies this week so may not see this but if I know him he will spend a week on his return catching up on all his inbox. Day 2 of the jollies and I still can’t let go.I started just before 4.00 am even though there’s no-one here to catch me. Wales would be delighted to have you and I’d be happy to give you and the monster a bed for a few nights ( or as long as you like) on your little trip. Conwy Castle is the one to see rather than Flint but I can at least let you see some of the places locally you’ve heard about for coffee. Thank you so much for the very kind mention, I certainly wouldn’t let my ‘jollies’ come between me and a friend’s post. It must be 20 years at least since I visited Wales. I’ve read a few blogposts about it recently and would love to go back. For home-based breaks we usually stick to Scotland and the north of England – I’ve never been to Northern Ireland at all – because they tend to be short breaks and we don’t want to spend too much time travelling. (Though last year we flew and hired a car when we went to Cornwall.) When my husband retires I want to do a grand tour of the entire British Isles! Previous V is for Venice – Places I Dream of Seeing! Next X if for Xi’an- Places I Dream of Seeing!